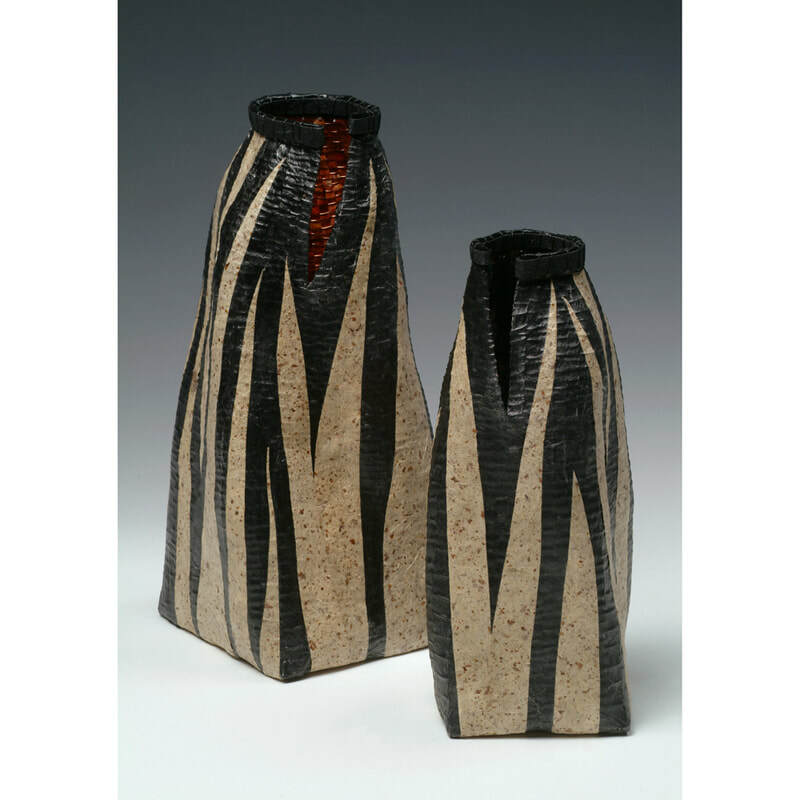 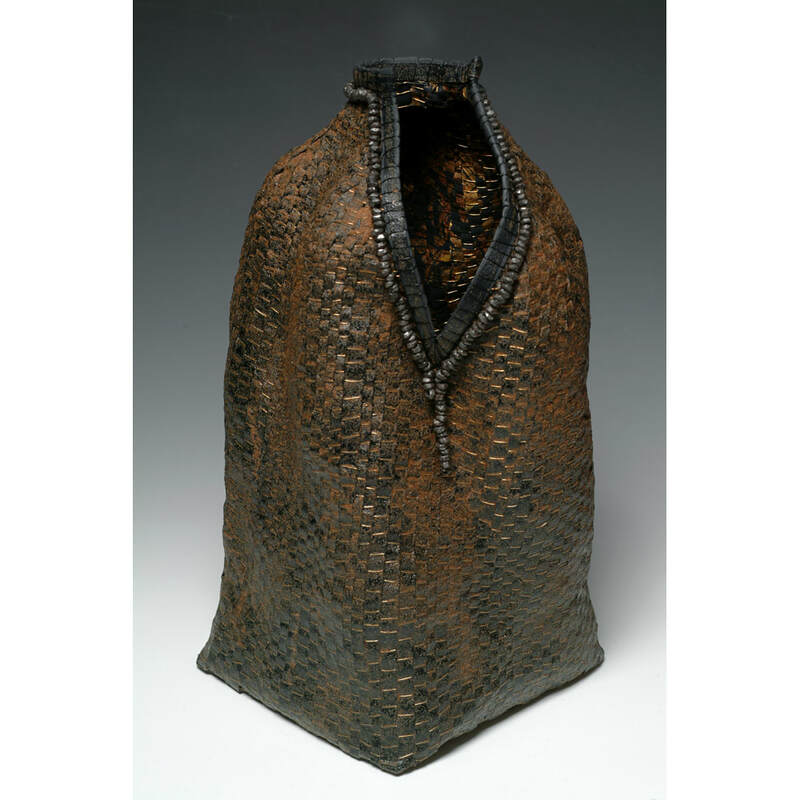 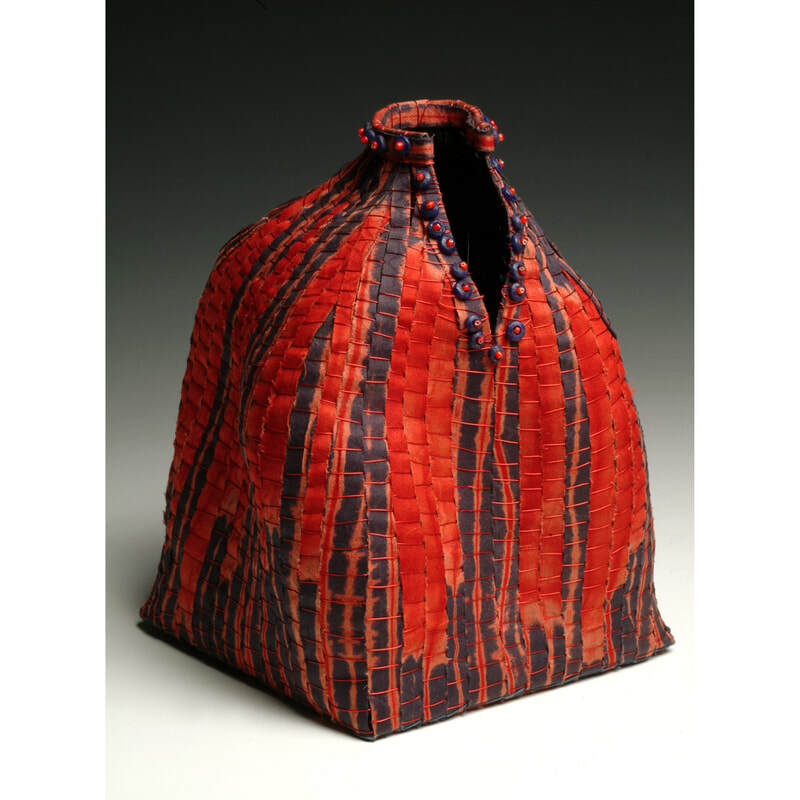 "Women Forms" is a series of woven vessels that speak of women - their shared stories, and their layers of experience. 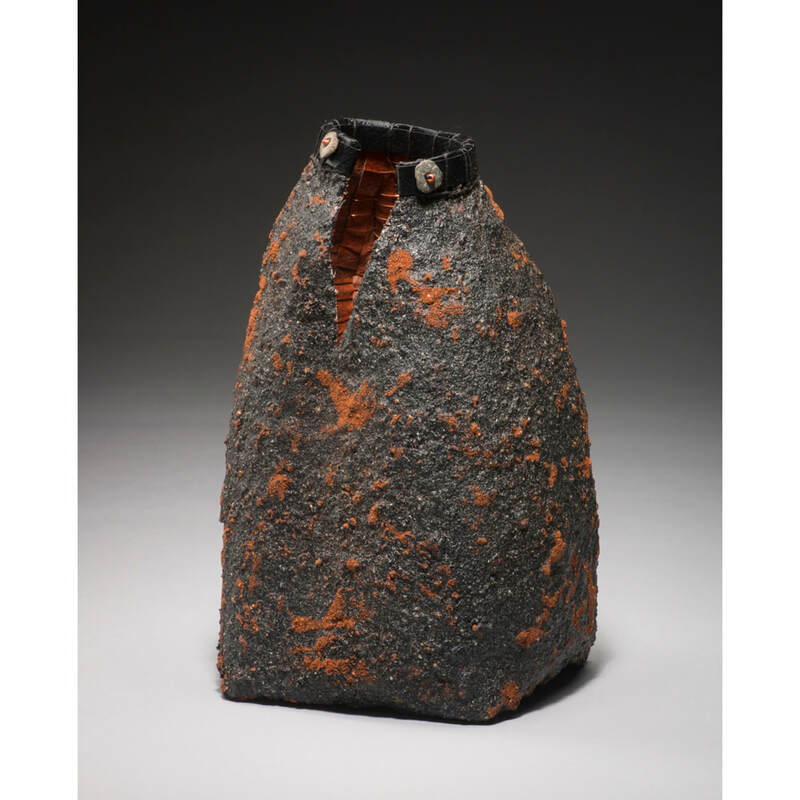 The series is a continuing study of form, color, and surface texture. 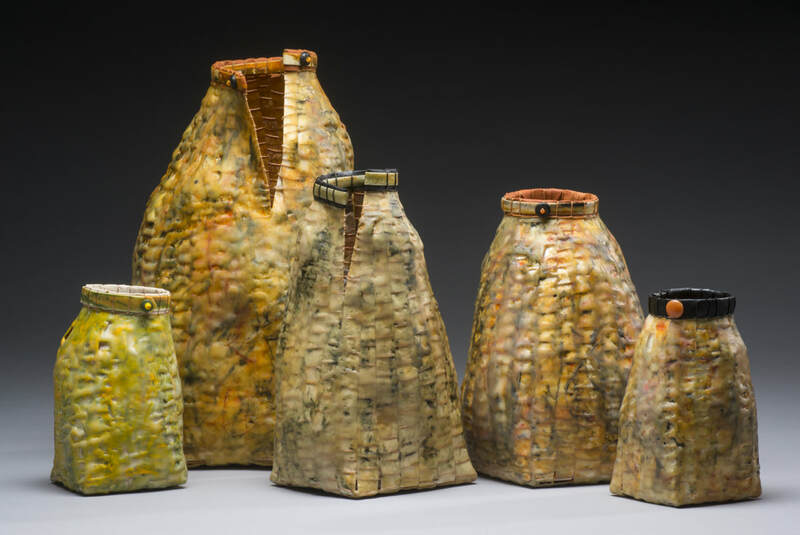 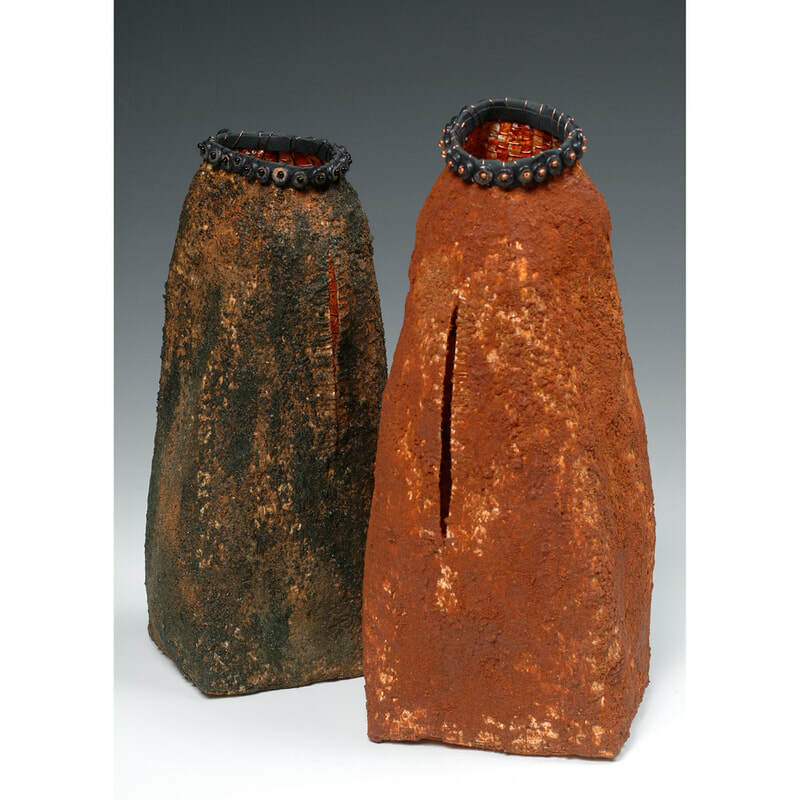 These vessels speak of the importance of the women in our lives, of their strengths and sorrows, their growth and joys. 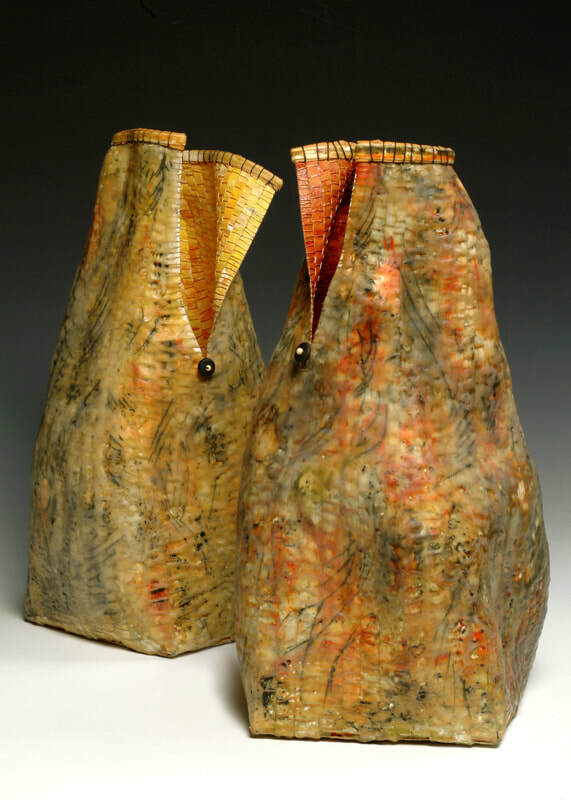 Each vessel tells the story of a woman, as an individual. 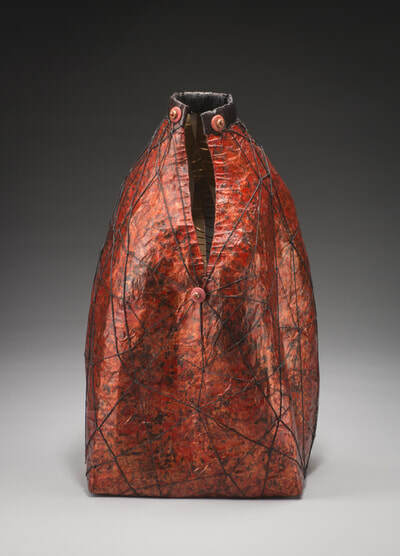 The outside, with its decorated, sometimes rough surface, has been formed and shaped by society and the woman’s life experiences. The inside, which catches the light in unexpected ways, reflects her inner strengths—strengths not always visible but worthy of careful looking. They may stand alone, or gather strength and support from the company of other women. 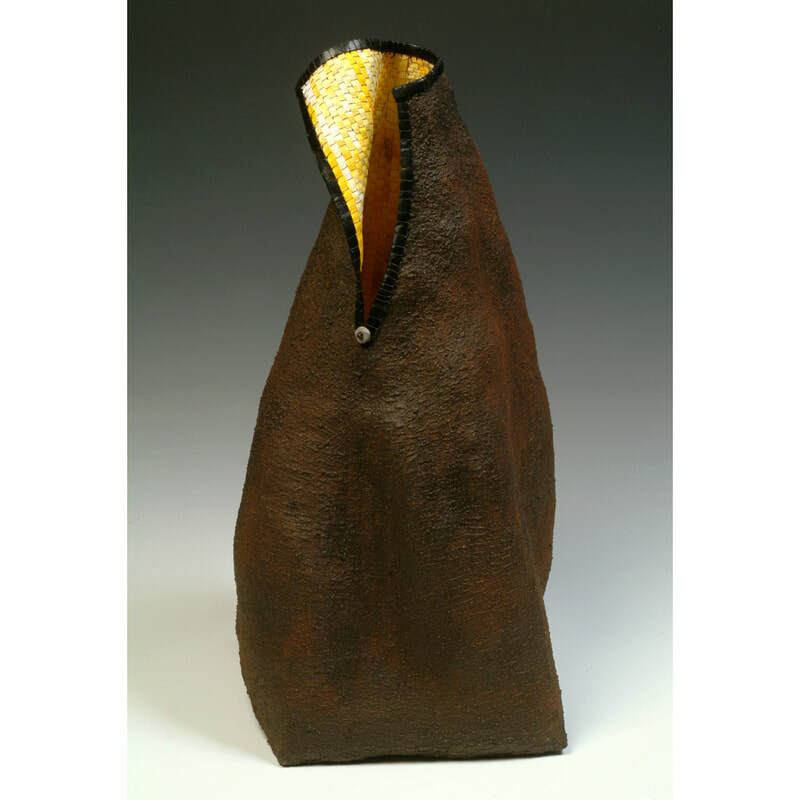 Please contact me if you are interested in purchasing available work.